In February 1995, the New Brunswick Cultural History and Art Section was formed from earlier collection designations in an effort to gather together certain types of items that relate directly to New Brunswick. The collection’s composition ranges from single instances of unique objects to small diverse groupings of similar objects to extensive collections of closely related material. On the whole, the artifacts in this collection were produced and/or used by citizens of the province within the province. Although there are some specific exceptions within this definition, and there are aspects of New Brunswick history that are dealt with in other areas of the Humanities, this designation has consolidated the collections into more cohesive units for both intellectual and physical care. Currently the New Brunswick Cultural History and Art section comprises: fine art; decorative art; New Brunswick First Nations cultural history; toys, games and sports; and aspects of photography. The NBM houses approximately 2700 paintings, sculptures, drawings and prints that chronicle the development of fine art in New Brunswick. In its entirety this grouping forms the most comprehensive overview of the evolution and development of one of the most vibrant and evocative facets of New Brunswick's cultural life. The furniture and furnishings component of the collections currently consists of over 400 items produced by approximately fifty makers, including the work of Thomas Nisbet, J. & J.D. Howe, Lordly, Howe & Company as well as excellent examples of provincially produced Windsor chairs. 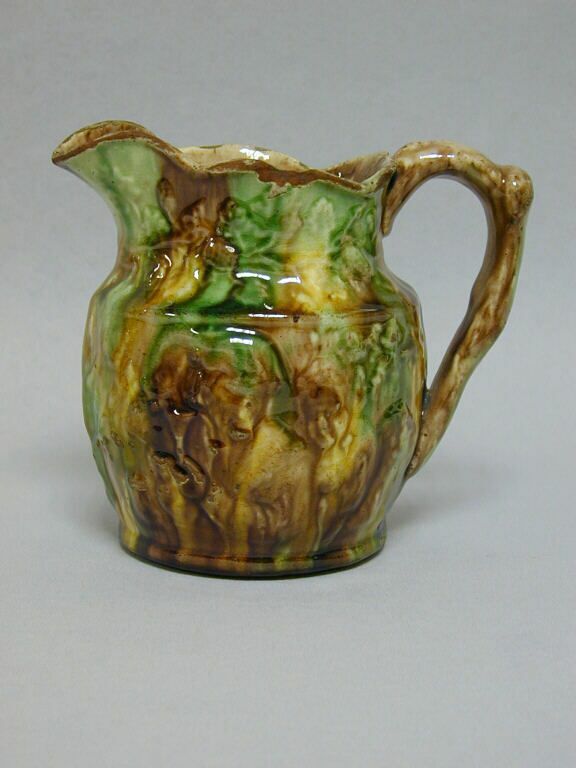 The ceramics and glass collections represent about 1250 works by approximately sixty artisans in many forms. The vast majority of the work represents examples from the late twentieth century recently added to the NBM's collection within the New Brunswick Craft Collection as well as the Dr. Astrid Brunner Collection. The collection of provincial metalwork comprises the work of nearly sixty New Brunswick silversmiths including Alexander and John Munro, Richard Thompson and William N. Venning from the nineteenth century and Elma Johnston McKay from the twentieth century. The costume and accessories collection consists primarily of the non-military clothing made in New Brunswick and worn by New Brunswickers. The collection is currently identified as containing approximately 5000 items. 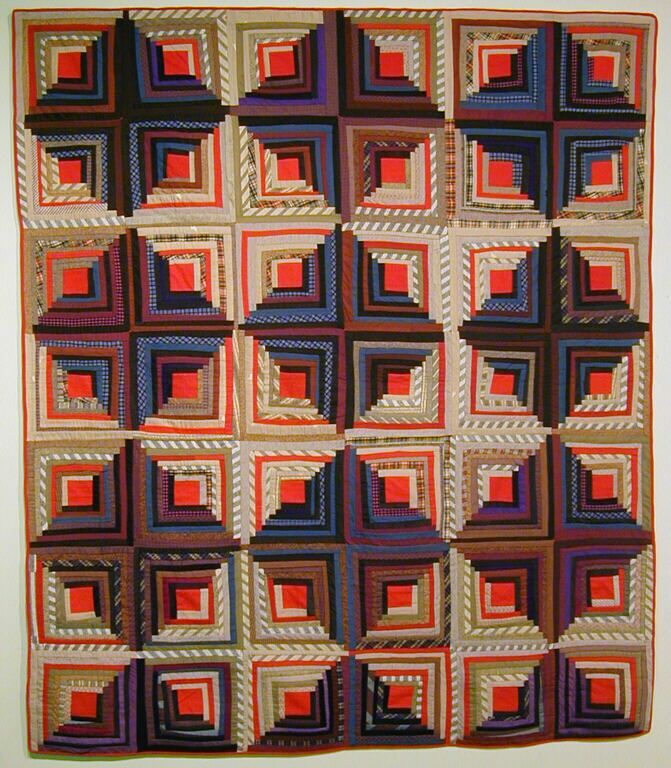 The textile collection includes 2700 non-costume items produced for domestic use and made within New Brunswick or if made outside New Brunswick, used within the province. 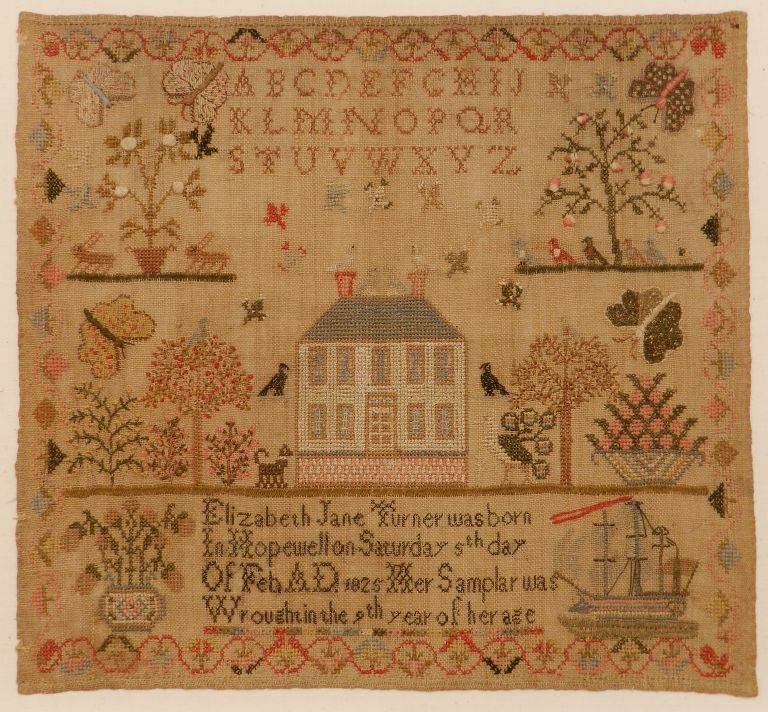 Major representations within the collection include bedding (quilts, coverlets, sheets and blankets) as enhanced by the John Corey Domestic Textiles Collection as well as a fine group of approximately 100 samplers. 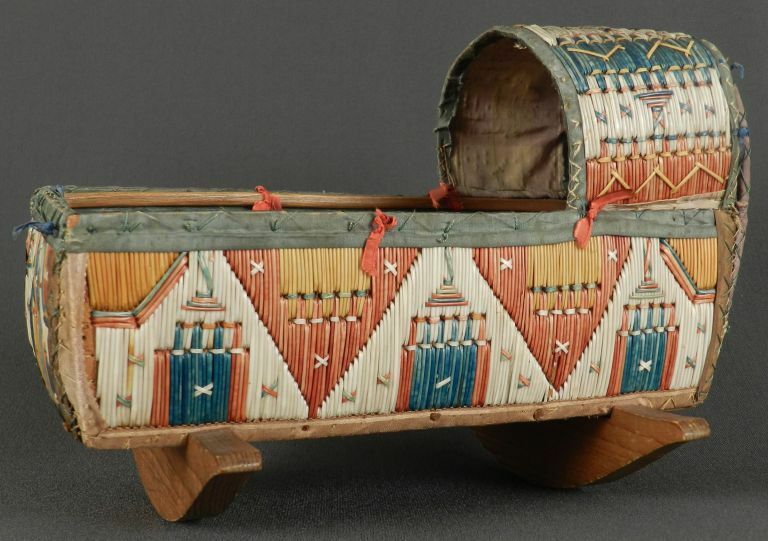 The New Brunswick First Aboriginal cultures collections of the NBM comprise those approximately 1000 objects made and used by the First Nations whose historical geographic homeland coincides with present-day New Brunswick. While knowledge of makers is often sparse, the chronological make-up of the collection reveals its strength in the late nineteenth and early twentieth centuries. Most of this material comprises objects made for sale outside the community. The especially fugitive nature of many of the materials (dyed ash splints and porcupine quill, moosehair embroidery and beadwork) demands special attention for display and storage. 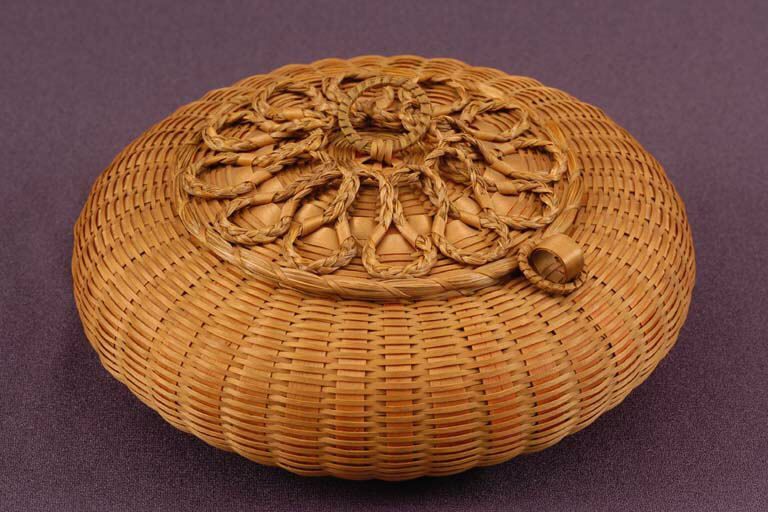 There are excellent collections of basketry, quillwork and beadwork embroidery. Some of this material is culturally sensitive, its original use being of a sacred or spiritual nature. The Museum's collection of 1000 toys, games and sports is composed, almost exclusively, of material and equipment used by New Brunswickers. 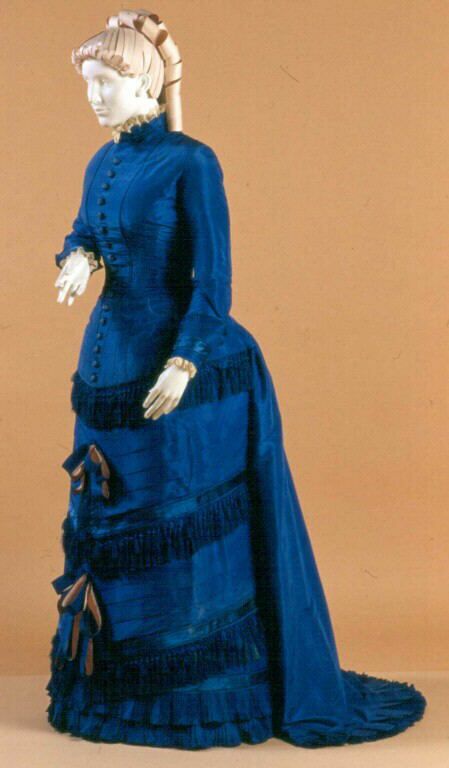 Within the collection is an important grouping of dolls and accessories. The sporting collection houses a significant collection of locally manufactured skates as well as a small but important grouping of salmon flies. The New Brunswick collections also contain a substantial grouping of examples of early photographic processes (i.e., unique images - daguerreotypes, ambrotypes and tintypes) practiced in the province, as well as negatives, lantern slides, cameras and photographic equipment form the nucleus of this collection.